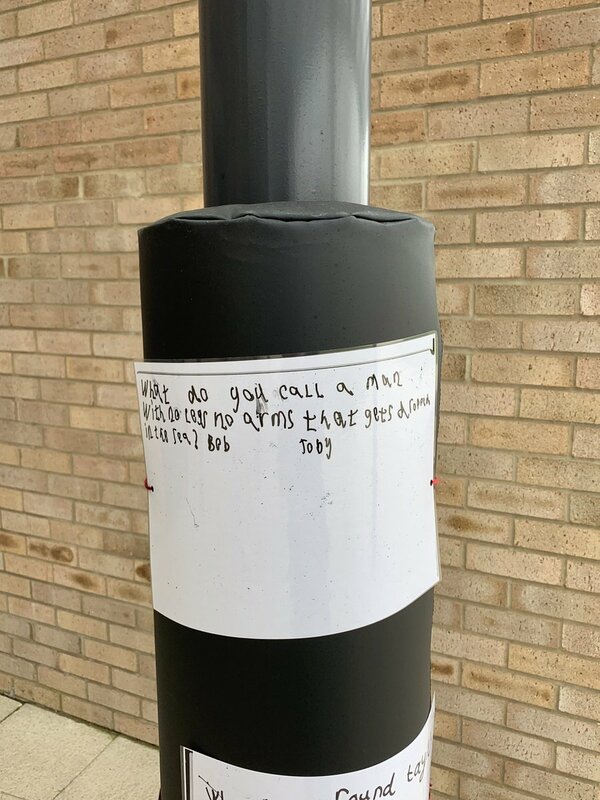 The children of Poppy class at Aureus Primary School in Didcot have been busy customising their newly installed playground safety padding. 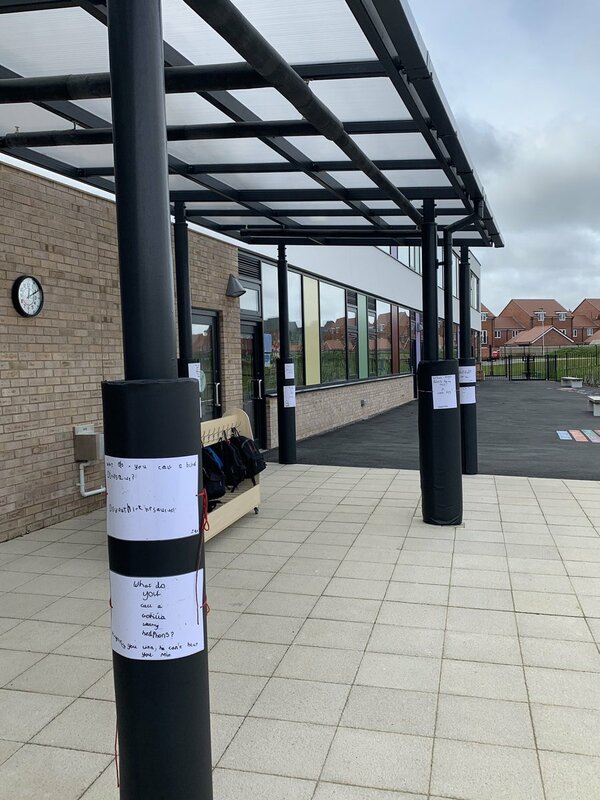 In a bid to put a smile on the faces of parents and carers who are waiting to collect their children from class, the pupils put pen to paper and scribed their best jokes. 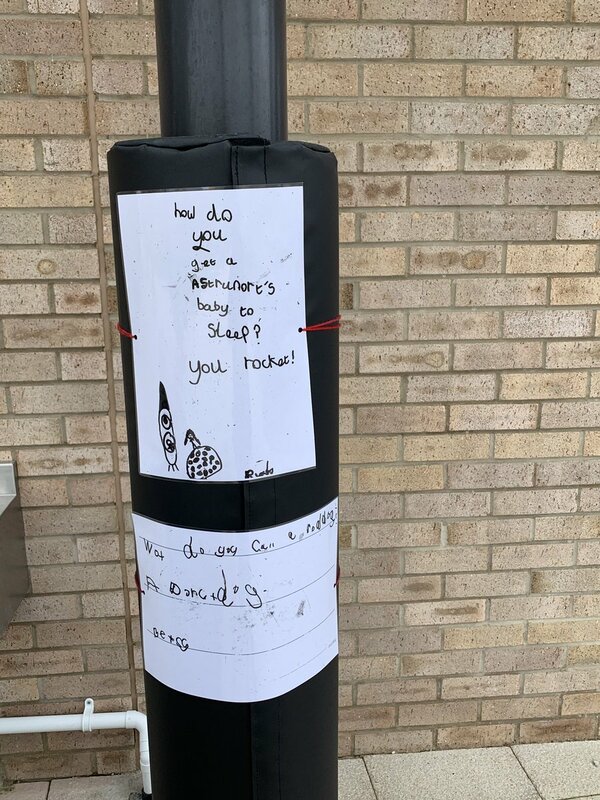 We think this is a brilliant and creative idea, which truly demonstrates the schools ethos to nurture hearts and minds. The school ordered a total of 37 made to measure pads in black to blend seamlessly with their surroundings. 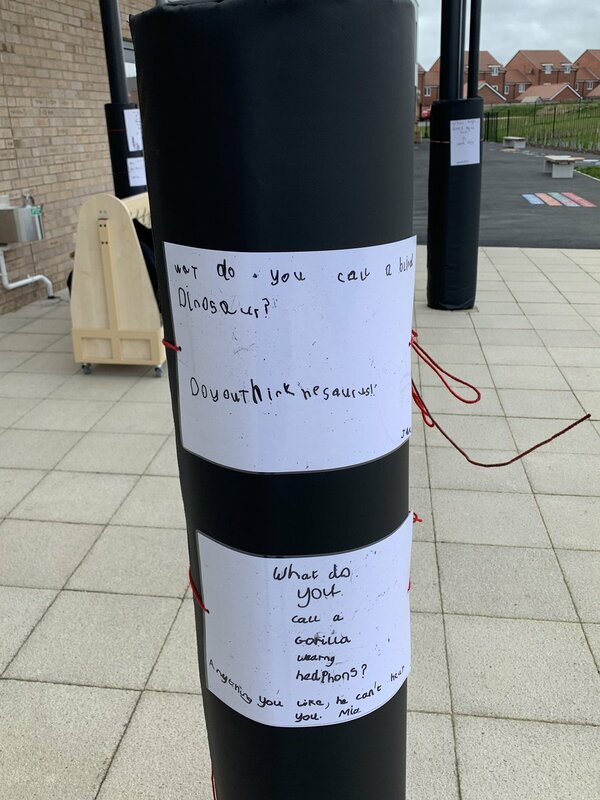 Fastened with robust Velcro, the 1.5m high pads were quick and easy to install around the circular posts in the playground. We accept official purchase orders from schools so that payment can be made after delivery has been made, rather than at the initial order stage. Please call 01925 826314 to discuss.